Our collaborators from the French side of Profweb have submitted an impressive range of publications on pedagogical initiatives during the winter 2017 semester. While our team has worked closely together over the past few months to ensure coverage of college network activities and to translate a number of the French articles, some of the publications are available in French only. These are very worthy of your attention and we have prepared the following summary with hopes that it will inspire you to read on. Ensuring Accessibility and Assistance for All! Technology has played an important role in making education available to everyone, and teachers and partners from our network are taking advantage of this, from distance education, to students with disabilities, to open source tools. In the article Le FADIO pour répondre au défi de l’accessibilité à la formation, Caroline Villeneuve, Profweb Coordinator, gives an account of her conversation with Mylène Simard, coordinator of thePartners’ Table of the FADIO project of the Bas-Saint-Laurent and Gaspésie-îles-de-la-Madeleine. She explains how and why this regional partnership of 7 school boards, 5 CEGEPS, 2 institutes and 1 university came together to combine their common pedagogical expertise about distance education, so as to become key front line players in the field of distance education. They also wish to continue developing new practices and to share their expertise with other regions, which could be of interest to you and your institution! In a detailed and helpful article, Les Services adaptés dans le réseau collégial: ressources et outils web pour soutenir la réussite étudiante, Andréanne Turgeon, Profweb Editor, highlights the work of Adapted Services to support registered students. She takes a look at the online tools and resources that Adapted Services from 13 CEGEPs have made available and highlights additional services that the CCSI (Centres collégiaux de soutien à l’intégration) offers. This article is brimming with links to video tutorials, online toolkits and websites to better understanding the role of Adapted Services and the types of learning disabilities CEGEP students face. A must-read before welcoming a new cohort of students next fall! Each year towards the end of January and the beginning of February, colleges take part in a campaign to prevent suicide by sensitizing staff and students to this important issue. Profweb Editor Alexandre Dal-Pan wrote the article Intervenir en situation de crise suicidaire: le CCDMD propose un nouvel outil. The article speaks of a collaborative project between the Cégep de l’Outaouais, the UQO and the CCDMD to create a website for psychosocial intervention students to better understand how to manage suicide-related crises and attempt to prevent them by recognizing the signs that someone is in distress. The website includes fictional interview videos with people who are experiencing a variety of issues and modules to learn about the underlying concepts in an intervention. In this article, Simon Villeneuve, a teacher from the Cégep de Chicoutimi relates how he was initiated into the world of sharing knowledge digitally by Jean-Marie Tremblay, a sociologist, librarian and member of the Ordre national du Québec. Simon Villeneuve has been using Wikipedia in his astrophysics and physics courses for a number of years now. This Real Life Story, Le potentiel pédagogique de Wikipédia: soutenir les apprentissages par la diffusion du savoir libre, shows a number of examples of his students’ productions, and talks about the numerous benefits of publishing articles on Wikipedia, such as developing critical analysis skills and collaborative work skills. In another article entitled Wikipédia et le partage des connaissances, Caroline Villeneuve and Melissa Philippe interview Simon Villeneuve and Denis Lavoie (another teacher who is also using Wikipedia extensively).The article reveals a treasure trove of information, from the history of the platform, to the fact that a Wikimedia user group meets on the first Tuesday of every month in Montreal. The article also notes that an international summit of Wikipedia contributors, called Wikimania, will be held from August 9th to 13th, 2017! Wikimania, the international summit of Wikipedia contributors which takes place in August 2017. To round out the collaboration between Profweb and the lecturers responsible for the course (Séverine Parent and Michelle Deschênes), Alexandre Dal-Pan and Angie Stevens from Profweb (who are both teachers) met with the students and provided testimonials on their own use of technology in the classroom. Some of the teachers and partners in our network are embracing the use of social media and various applications as part of their pedagogical strategy to engage students in their learning. Two articles by Alexandre Dal-Pan, based on an online workshop from the REFAD (Réseau d'enseignement francophone à distance du Canada), conducted on February 22, 2017 by Nelson Jean and Michel Gendron from UQAR, were published. The first article, Les usages pédagogiques des réseaux sociaux: compte rendu d’un atelier du REFAD, summarizes the goals of the workshop: to help participants select the right social media tool for pedagogical reasons, to motivate students to participate in their learning, and to learn the advantages and limitations of each. The workshop helped participants to better navigate the implications of using social media in a learning context. In the second article, Comment faire des réseaux sociaux vos alliés pédagogiques, Alexandre is joined by Nelson Jean and Michel Gendron to explain how 3 particular social media platforms can be used in a pedagogical manner. Twitter, Facebook and Google + are analyzed for their potential with class communication, writing succinctly and keeping tabs on industry news. 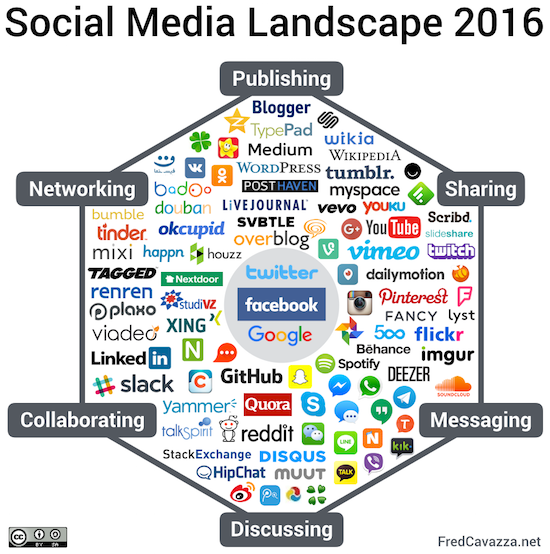 If you are thinking about incorporating social media next year, this article is a must read! Quand la technologie s’invite au gymnase (ou dans vos activités sportives préférées), proposes an excellent summary of the plethora of technology available for monitoring exercise. Profweb’s Andréanne Turgeon and Christophe Reverd from Vitrine technologie-éducation suggest tools and apps that students in physical education courses throughout the network might use. Whether to motivate students or invite a little friendly competition between peers, these tools can encourage students to engage in physical activity. It is an exciting time in our network as the definition of a classroom is evolving, creating new opportunities for teaching and allowing for a more creative approach on how to deliver course content. Caroline Villeneuve interviewed Bruno Lemieux, the Techno-pedagogical Advisor from Collège Mérici, and visiting lecturer at the Université Laval in the article Contribuer au développement de futurs praticiens réflexifs et créatifs. In his course, entitled Les TIC dans l’enseignement secondaire, Bruno teaches students about a wide range of technological subjects, including BYOD, active learning, interactive whiteboards, and seriousgames. Bruno also relates how he not only teaches about technology, but that he strives to teach his students the benefits of adopting a reflective and creative teaching practice. To do this, he uses immersive, experiential and destabilising role-playing games. A look at the building of a blog with an interactive whiteboard. The École 42 is a tuition-free coding academy in France where there are no teachers and students learn at their own pace. In a fascinating article, École 42: l’apprentissage se fait tout seul (c’est-à-dire à plusieurs), contributed by Cégep de Rivière-du-Loup intern Laurence Saint-Cyr Proulx, we are provided with an overview of this establishment which was created by a wealthy entrepreneur from France looking to give back to the country where he made his fortune. Another 42 school has been opened in Silicon Valley, and has a website in English that explains the school’s approach. Laurence visited 42 as part of her research with Cégep de Rivière-du-Loup’s Living Lab, and rounds out her article with some tough questions on the value of this sort of 21st century approach to learning. In the article Pourquoi et comment repenser la conception des salles de classe, Melissa Philippe explores the trend towards transforming learning spaces, drawing on sections from learning authority Tony Bates’ open text Teaching and Learning in a Digital Age. Melissa does a good job summarizing some of the current trends in pedagogy (like active learning and flipped classroom pedagogies) that are influencing the design of classrooms, drawing on recent examples from Profweb publications to illustrate how the college network is engaged in this transformation. The Formule Math website created by Nicolas Arsenault from the Collège de Maisonneuve received an award for the Best Digital Educational Material of 2016 by the Association mathématique du Québec. The website offers tools for math teachers that would like to integrate a flipped classroom approach into their pedagogy. Alexandre Dal-Pan explains the theory in his article Inverser son cours de mathématiques pour impliquer au maximum les étudiants en classe. The Formule Math site contains 118 tutorial videos, each ending with a summary table to recap what has been presented as well as “active guides” that suggest teaching activities that are harmonized with the videos. An image showing components of Nicolas Arsenault’s flipped classroom approach. Yvon Courcy, the only Spanish teacher in the Cégep de Drummondville’s language department shares information about the website La Cucaracha in the Real Life Story La Cucaracha: créer un site web pour apprendre l’espagnol en s’amusant. He explains that he wanted to create a virtual learning space for his students to help them to speak Spanish more easily and break through the psychological barrier that sometimes keeps students from progressing when learning a new language. He also wanted to share the tool with his colleagues in the college network, in order to create a virtual community that allows teachers to exchange with each other, and break through the isolation they may feel within their teaching practice. He’s hoping to launch the 2.0 version of the website in the Fall of 2017. In this inspiring Real Life Story, L’intrapreneuriat éducatif au service de l’innovation pédagogique et numérique, Maxime Arcand, who teaches at the Cégep de Trois-Rivières summarizes how he rebooted the Entrepreneurship course in order to integrate a more modern approach. Moving from a classic lecturing approach, Maxime developed a blended course where students were asked to learn theory at home and do journaling in Google Docs. This frees up class time to work on a variety of projects. Maxime developed videos with local entrepreneurs who share their experience with students, provide sage advice and common pitfalls to avoid. Maxime’s example is one of perseverance, and he provides encouragement and inspiration in the closing words of his story. In this Digital Tool article, Frédéric Dulac from the Cégep de Granby shares how he moved from correcting paper copies to an entirely digital workflow using the iPad and an app called GoodReader. In the article, Corriger avec le iPad: gagner du temps perdu he recounts that using this technology has allowed him to optimize his correction time, since it is rare that he gets 5 or 6 hours of quiet correction time to himself, given his family and other commitments. The GoodReader app does not require you to be on-line and since the iPad is very portable, Frédéric can take his assignments that he needs to mark anywhere he likes. The article lays out how to get started with this GoodReader, which allows you to annotate PDF files, and to synchronize files with cloud-based storage services like Dropbox. The workflow outlined by Frédéric includes all the steps from receiving student submissions to remitting their assignments and will certainly save you some time should you wish to opt for a paperless approach to marking! Some examples of annotations done with GoodReader. Interest in using serious games in education is on the rise, and multiple teachers from the college network shared their experiences this winter. Chantal Desrosiers, an IT Education Advisor at Cégep de Trois-Rivières and Instructor with PERFORMA, provides some background information on research regarding serious games and why they have made their entrance into the world of college education. In this article, Les jeux sérieux en éducation, qu'existe-t-il en recherche et au collégial? she provides categories of games and suggestions on how to use them depending on the pedagogical objective. From Angry Birds, to Minecraft (education edition), to the game Sortir des impasses des participes passés by the CCDMD, there are a host of games to explore. Alexandre Dal-Pan explains how using the game Modappi helps students learn the basics about vectors in the article Un nouveau jeu sérieux sur Modappi pour maîtriser les vecteurs. Bienvenue sur Mars! Two teachers from Cégep Édouard-Montpetit are behind its creation, Éric Laflamme and Alexandre Beausoleil, which won the Prix de la ministre de l’Enseignement supérieur 2016. A screenshot of the game Modappi where students learn about vectors as they navigate a robot around Mars. This flexible platform offers educational games and online courses that can be modified by teachers. Students are submerged into the universe of Mars through data from a NASA robot sent to Mars in 2004 and explore the red planet while learning about the basic concepts of vectors, which are required to control the robot. Melissa Philippe examines the uses of a game developed in France called MelCity in the article MelCity, un jeu sérieux pour sensibiliser aux situations de handicap. The game allows players to explore a city through the perception and challenges of people living with handicaps. Melissa walks the reader through how the game is played while suggesting various educational uses. It is especially useful in disciplines where building awareness about disabilities and social challenges is on the agenda. Melissa suggests that teachers could use this game to direct the way students think about the world around them and the types of solutions that are possible for the real problems of today. In the article, Contigo, le jeu sérieux qui vous accompagne... dans votre accompagnement!, Alexandre Dal-Pan and Melissa Philippe explain the game Contigo which was developed by the CERAC at the Cégep de Drummondville. It is a simulation game for Education Advisors in the CEGEP network whose goal is to reinforce their accompaniment skills so that they can provide adequate support to teachers. Alexandre and Melissa explain how the game provides players with the opportunity to put their abilities into practice through various case studies, which are designed to provide immediate feedback on the player’s interventions. The serious game Contigo was funded by the Ministry of Education and Post-secondary Education. Yvon Brunet, a teacher at Cégep de Ste-Foy, describes how simulations are used to help develop clinical judgement and skills for the students in the nursing program at his college in Simulation clinique en Soins infirmiers: débreffage et développement du jugement clinique des étudiantes. With the help of 4 different mannequins and human actors in simulation rooms, he explains that students can practice important skills related to the competencies of their program. All simulations take place in 3 phases, giving the students the necessary theory and knowledge before beginning the simulation as well as providing them with feedback when they have completed the activity. This impressive simulation approach provides students with hands-on opportunities to perfect important skills. Considering the quality and diversity of fascinating topics covered this winter, we can’t wait to see what is in store for next fall from the French side.